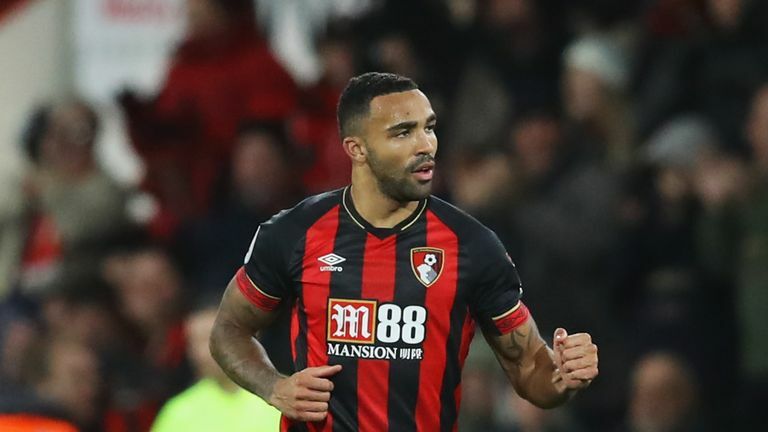 Eddie Howe says there have been no bids for Callum Wilson or any of his Bournemouth players. England international Wilson had been linked with London trio Chelsea, Tottenham and West Ham but rather than losing key players, Howe is focused on strengthening his squad in the January window. "We've had no interest in any of our players," said the Cherries boss. "Everything has just been speculation, which you understand as this is the month for it. "From my perspective and the team we have above me, we are always working together to try and find solutions to make the squad stronger and continue to move the team forward. "They're the main things. We'll do that again, like we have done through the process that we've been together, for the benefit of Bournemouth. "No interest or no actual enquiries? No, nothing." Wilson is reportedly valued at around £75m but Howe was reluctant to contribute to a debate over how much the striker is worth. "I don't want to place any more pressure on Callum or any of my players by talking about things that aren't important," he said. "What's important is Callum working hard for the team and producing his best performances on a consistent basis. "For him to be thinking about transfer fees, values and other clubs, I would recommend he focuses on Bournemouth." Wilson has returned to training following a minor grade hamstring injury and Howe will make a "very late call" over whether he plays against West Ham on Saturday. The 26-year-old scored Bournemouth's opener when they won 2-1 at the London Stadium in August but Howe says West Ham look a completely different side to the one that struggled at the start of the season. "They had a tough start but have recovered very well," he said. "They've had some really good results of late, they look confident and there's a nice balance to their team at the moment. "From our perspective, we want to continue along the same track as we did against Everton, but maybe being a bit more clinical with the chances that come our way. "I felt last week was a turning point in terms of the general performance and feel of the team. Hopefully that continues."